In celebration of Chinese New Year’s, I wanted to post this delicious spin of a favorite Chinese take out dish. It is even perfect for me because it combines two favorite ingredients at our house. I love broccoli in just about any forms (raw, steamed, sauteed, pureed in soups, etc) and Red loves beef dishes (he’d have them every night if he can!). I haven’t had a lot of luck finding a favorite dish from local Chinese restaurants, so I thought this was an appropriate dish that I should try to be making at home; especially since the ingredients are so accessible. I was pleasently surprised at how quickly this dish was to put together and how delicious! I do love sauce on my stir fry, so I think in the future, I would double the sauce to make sure that I have plenty leftover. Wishing you a very prosperous the Year of the Rabbit! In a wok or large saute pain, add 1-inch of water, and bring to boil. Add the broccoli and cover to steam for 3 minutes. The broccoli should be bright green, crisp tender, and you should be able to pierce the stem with a fork. Drain. Discard the water in the pan and dry the pan well. Set the pan over high heat and when hot, add the high-heat cooking oil and swirl to coat. Add the garlic and fry for 15 to 30 seconds, until fragrant. Add the steak strips, keeping then in one layer and fry 30 seconds. Flip the strips and fry the other side. Pour in the Stir-Fry sauce and stir to combine. Simmer until sauce is thick enough to coat the back of a spoon, about 30 seconds. 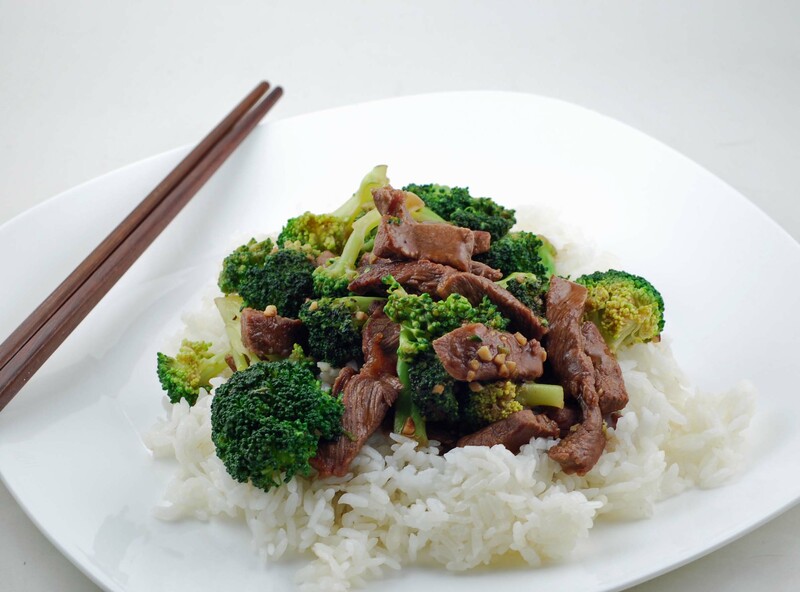 Add the cooked broccoli back into the pan and toss to coat well. During the holidays and other special occasion dinners, I like to serve two different kinds of protein. It’s just something that I just grew up with. One of them is usually either a ham or turkey; and then there will be another piece of protein for variety. 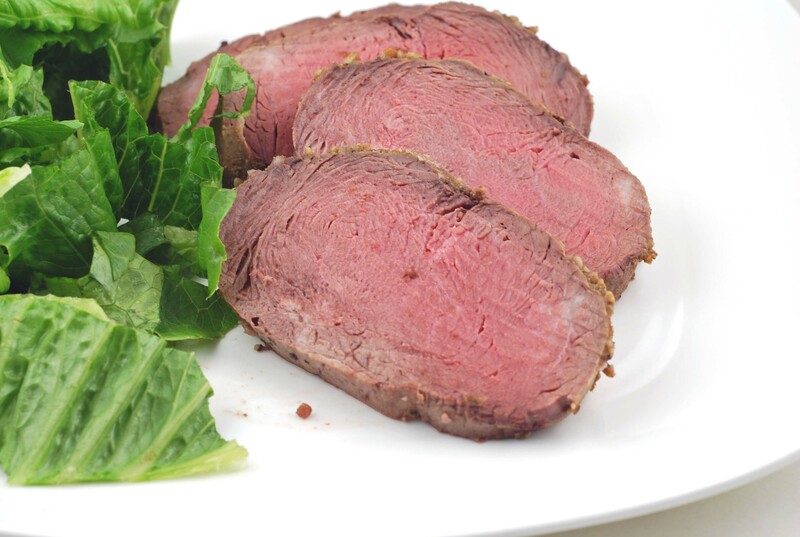 As I was planning my menu recently, Red suggested that we tried this beef tenderloin when we had company over. I followed this recipe and made no substitutions; and it was a success. The beef was tender (almost fork-tender! ), juicy, and was perfectly seasoned… do I also need to mention easy? Our guests really loved it; and we did too! 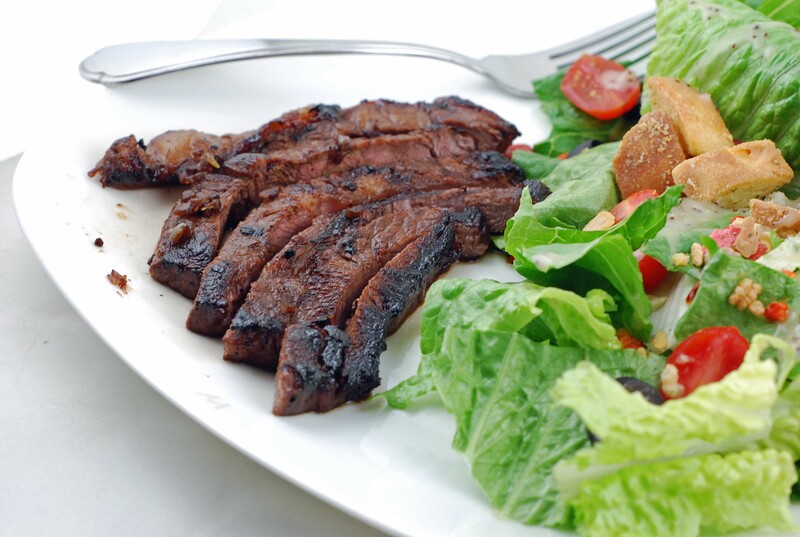 We were just so satisfied by how tender and flavorful the beef was. The original recipe suggested that we serve this with basil-curry mayonnaise, but I decided not to post the recipe. I made it, however none of the guests or we really cared for it. I think the flavoring was a little bit too overpowering for the beef. It may be a good pairing for something else (a crostini perhaps?) We enjoyed the beef on its own with the rest of our meal. If you are looking for a new main dish to impress your family or friends for your New Year’s celebration, make this recipe. I know you will not regret this! Wishing you a prosperous New Year’s! Arrange an oven rack in the center of the oven and preheat the oven to 400 degrees F. Spray a heavy baking sheet with vegetable oil cooking spray. Set aside. In a spice grinder, finely grind the cumin seeds and coriander seeds. Heat a small skillet over medium heat. Add the spices and cook for a few seconds until aromatic and toasted. Put the spices in a small bowl. Chop the garlic on a cutting board and sprinkle with 1/4 teaspoon salt. Holding a chef’s knife at a 45 degrees angle, scrape the garlic and salt together to form a paste. Add the garlic paste to the bowl with the spices. Add the remaining 2 teaspoons salt, black pepper, and oil and stir until smooth. Put the meat on the prepared baking sheet and rub with the spice mixture. Roast for 35 to 40 minutes or until an instant-read thermometer inserted into the thickest part of the meat registers 125 degrees F, for medium-rare. Remove from the oven and transfer the meat to a cutting board. Cover the meat loosely with foil and let rest for 20 minutes. Slice the meat into 1/4-inch thick slices and arrange on a platter.